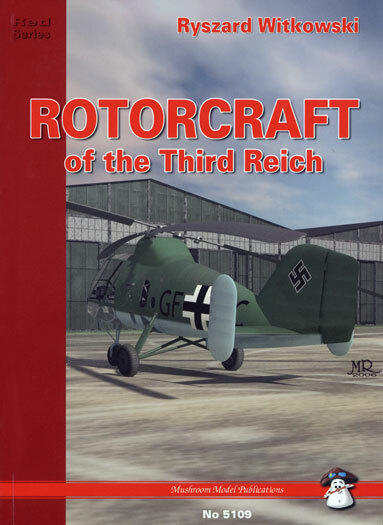 Advantages: Provides a good history of rotary wing development under the Third Reich, covering the main manufacturers and machines; great selection of contemporary photos; colour photos of surviving examples; 26 attractive colour profiles. No, this is not another “Luftwaffe 1946” what if book! It is, in fact, a record of the efforts made by German manufacturers in the world of rotary wing aviation during the Third Reich era of Germany’s history. 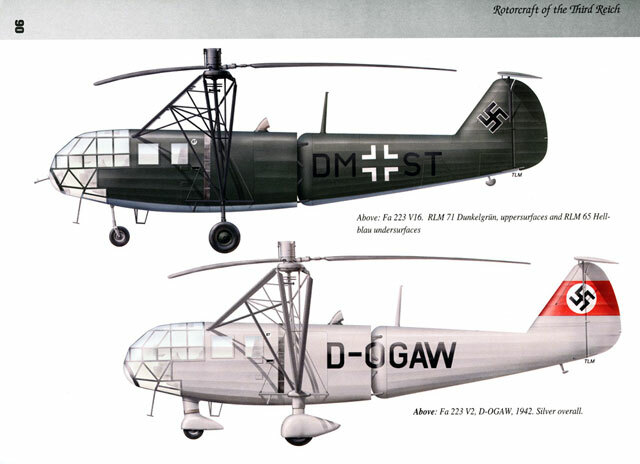 Fa 330 Bachstelze (Wagtail) the famed “U-Boat Helicopter”. The book is No 5109 in the Mushroom Model Publications Red Series. Printed in Poland on good quality glossy paper, it contains text in the English language only. A soft cover book, it is B5 format 240x165 mm (or 6½” x 9” for those of us who are yet to go metric) and comprises 104 pages. It contains 104 black and white period photographs, 26 colour photographs of surviving examples, 26 colour profiles as well as 14 1/72 scale line drawings. 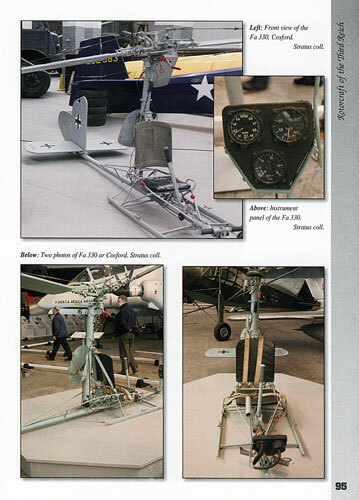 Those who own the Special Hobby 1/48 scale Focke-Angelis Fa 223 kit will find the text and photographs contained within the book’s pages especially helpful in assisting you in getting the kit right.